Although the term “boy band” only became widely used in the 1990s, there were clearly early pioneers that led to the bands we know and love today. The earliest form of boy band music took place in the late 19th century with a capella Barbershop quartets. Male vocal groups saw a revival in the late 1940s and 1950s with the emerging popularity of doo-wop music, which sang about love and other themes used in pop music. The Osmonds, Jackson 5 & The Beatles established many features recognizable in boy bands to this day - all members of the band sang and the music featured close harmonies from soul music and catchy pop hooks. 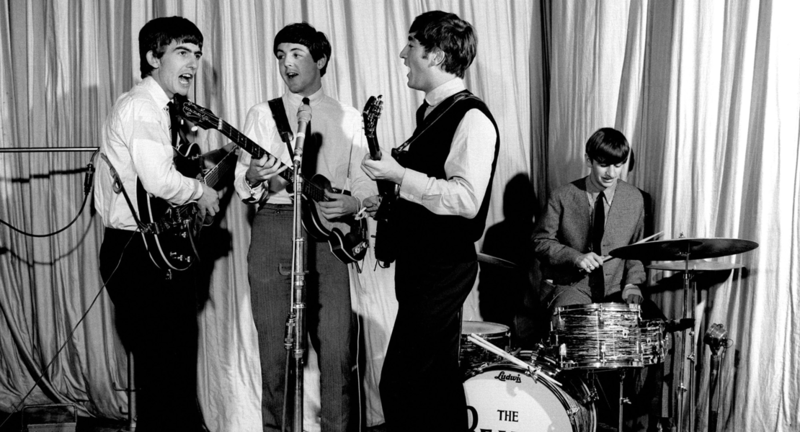 Beatlemania took hold, creating masses of screaming fans. A whole new level of popularity had been reached. The Monkees are considered pioneers as they were the first manufactured boy band - put together by TV producers to sing catchy pop tunes and act in their own series. Puerto Rican boy band, Menudo had a 32 year career, featuring 30 members (including Ricky Martin). They had a convention unique amongst boy bands: when a member turned 16, became too tall, or their voice changed, they were replaced. Known as the "tartan teen sensations from Edinburgh" The Bay City Rollers were the first of many acts heralded as the 'Biggest Group since The Beatles'. New Edition (named to signify they were a new edition of the Jackson 5), were an R&B group formed in Boston. They led the way for groups like New Kids on the Block, Boyz II Men, Backstreet Boys and 'N Sync. Things are heating up!